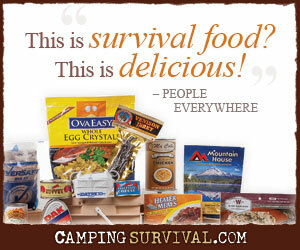 Preppers come from all walks of life. We are auto mechanics and doctors. We are bankers and farmers. We are construction workers and we are business owners. In our day jobs, many preppers routinely use skills that will be even more useful in a post-collapse world. Those who know how to grow crops, maintain old machinery, and work with wood and metal using primitive tools will be highly valued in a post-TEOTWAWKI world. Professionals such as doctors, nurses, and engineers, also possess skills that will be in great demand. Even though expert TPS report filing capabilities will not be needed after “it” hits the fan, the skills that allow managers, bankers, and even lawyers to excel at their day jobs will have some value in a post-collapse world. Leadership skills. Despite the romantic notion of surviving on your own, more than likely preppers will band together in small communities for mutual assistance and security. Developing the skills to effectively lead a small team will be helpful as you work within your community. Interpersonal skills. Getting along with some people even in the best of times is difficult enough. During the stress of a TEOTWAWKI world, it will be a hundred-fold worse. Knowing how to effectively communicate and work with other people will be beneficial during tough times. Budgeting skills. Many people believe that money will have little to no value after “it” hits the fan. They may indeed be right. However, budgeting your food and water consumption and making sure that your not blowing through your other resources faster than you can replace them will be critical during tough times. Negotiation skills. Bartering and trading services for material goods will become the new norm after an economic or societal collapse. Knowing good negotiation techniques can help you to ensure that you’re not taken advantage of. Project management skills. There will be many collaborative efforts in a post-TEOTWAWKI world. Those tasks will have lots of interdependencies and conflicting resource requirements. For example the best person to provide nighttime security may also be the person who knows the most about gardening. Knowing how to plan, schedule, prioritize is project management. Even though your day job may not offer skills that directly translate to your prepping endeavors, you can learn business skills that will help during uncertain times. You will do well to nurture and develop these skills now before you need them. Most managers, mid-level and up, and customer service persons that are worth their salt have a great TEOFTAWKI skill. Conflict resolution: This falls into the interpersonal skill category, in situations where you might be in group of people that have lots of conflict and power struggles this will be invaluable. You would not even need to be in a leadership position for this to be valuable, the ability to calm people down and get them taking can save your life and the lives of others. As a professional customer service person I can tell you that the ability to talk someone out of being upset into a space where they are willing to listen to your point of view or that of others will be an invaluable skill set. Couldn’t agree more, Jeff. Of course adding other more traditional survival skills, as you obviously have, helps to round out the skill set. I’ve had individuals comment to me how they don’t have “survival skills” worth anything. I pointed out to one gal that her skills as an auditor are amazingly useful and that such skills would be highly valued in a community setting where resources must be managed at extreme levels of efficiency. She also didn’t value her personal life experience from living overseas in a third world country for over 5 years, which I saw as quite valuable. I know, however others who are all into their “management” level “high-life-form” classism that I would never put in charge of anything or anyone in a post event situation. Those very attitudes are what has placed our society and humanity at risk in the first place. Belief in classism and the degrading of “blue-collar” and “red-neck” skills has been harshly treated by many in Management level positions. So while some of them may have “skills” they lack Human Interaction skills suitable due to their own bigotries of superiority and I would never place them in a position of “power” over others. Many of them also can’t think outside of the box or their cubical frame of references. I saw that first hand in Hurricane Katrina disaster area. So while some have skills on paper, the other baggage of elitism makes their management skills less valuable in my opinion. I’d rather take a farmer who was great at managing his farm and all that it took as a manager — or a mother of 6 who ran a home and kids, etc and still had time for community involvement. They showed management skills too, but often their skills were not recognized by a university or a big paycheck from some corporation. Those people who do it regardless of the social status it brought are the ones far more valuable in my opinion. Because their agenda prior to “it” shows their intentions to be balanced and thus more likely deep rooted. Yes, unfortunately there are elitist as in all walks of life, including in the prepper community. Those who hold to that opinion now and offer now concrete skill set after a collapse will find life very difficult. Tell them we will need them. They are soft and weak. Cattle are to big and require a lot of space, mid-level managers are delicious when properly prepared.